GROWING ZONES AND FROST DATES. If you are not sure what growing zone you are in, click here. NOTE: Instead of putting in your zip code, choose "View Your State Map" instead. It will save you having to enter an annoying Captcha! Once you know your zone, find your first and last average frost dates. That, in turn, determines when you should plant your seeds or safely transplant seedlings you buy. Record your results with this worksheet. Tech savvy kids (who is NOT a tech savvy kid these days) can do these steps for you! Cornell University has Vegetable Growing Guides, 58 to be exact, and provides detailed instructions on how to grow each variety. Included are what kind of soil the plant requires, whether it prefers full sun or part shade, and what pests and diseases you may encounter. You should also check out your local County Farm Extension office because they are a wealth of information that is closer to home. They can direct you on where you can get your soil tested, always a good idea! Learn how to make a fast, easy, no fuss compost pile. You can always choose to build another system later, but this will help you get started quickly without too much procrastination! A favorite book on composting I recommend for use with kids and the whole family is Compost: A Family Guide to Making Soil from Scraps by Ben Raskin. As a family, watch this on how to do Kitchen Composting and see this list of five ways families can build great soil. One of my favorite books is the Week-by-Week Vegetable Gardener's Handbook. This will tell you what to do in the garden each week of the year. This year, we are ordering our seeds from a variety of seed companies. Check out my home page or blog page to get a list of my favorite seed catalogs. FAIRY GARDENS: NOT JUST FOR GIRLS! 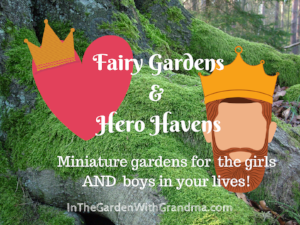 Check out a new video on my blog page called "Fairy Gardens and Hero Havens: Miniature Gardens for the Girls AND Boys in Your Lives." Posted Jan. 29, 2018. Want to learn about winter sowing? Go to my blog page and follow four part mini-series. Posted Jan. 28 through Feb. 1, 2018. Learn more about the Wonderful World of Soil! 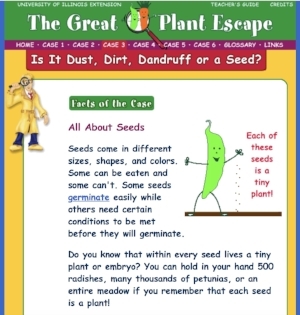 I have compiled a list of great books and awesome websites to teach children ages 4-11 about the magic beneath our feet and the engine behind our garden plants! (See below for the free download) It's a great list for your kids, your students, or those involved with homeschooling. In addition, here are five ways families can work together to help build good soil.